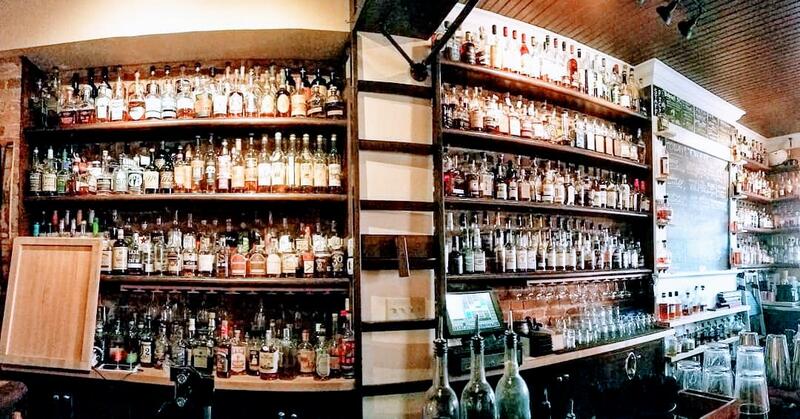 Interested in exploring the world of bourbon, but maybe just a little intimidated by what can seem like an overwhelming number of choices? Or perhaps you had a run-in with a bourbon fan who was a mite too proud of his or her extensive knowledge of bourbonology and it made you think you should stick to something more accessible. If you’re interested in beginning to “find your sipping point” but a little uneasy at the thought of whether you’ll be welcome, there’s no better place to begin your journey than here on The B-Line. 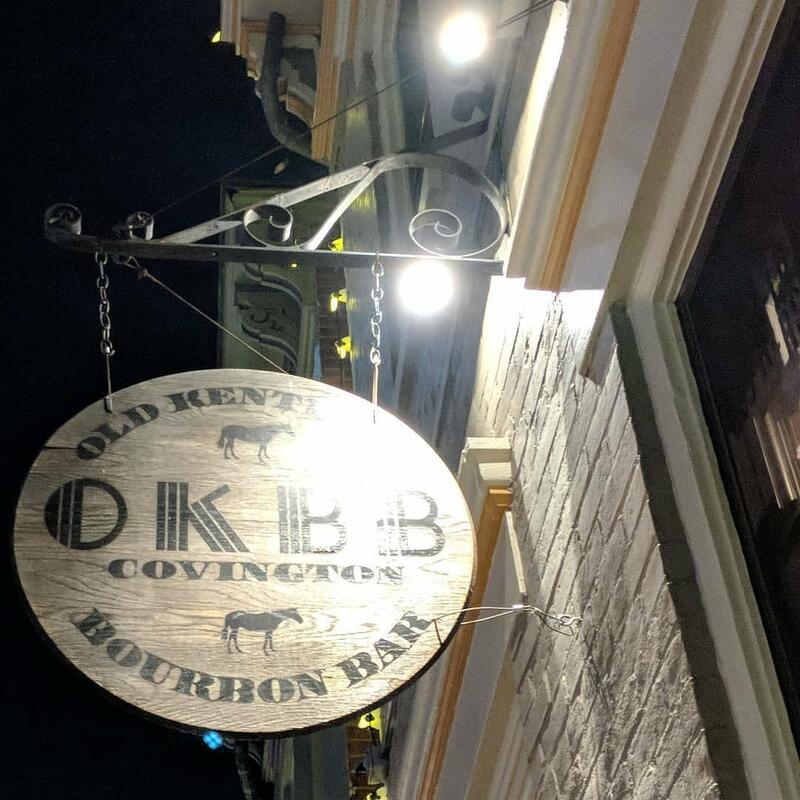 All of our stops welcome bourbon newbies, but none more so than the Old Kentucky Bourbon Bar. Affectionately referred to as OKBB, this cozy hole-in-the-wall is located in charming, historic Mainstrasse Village in Covington, KY. 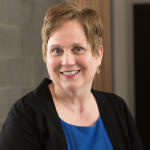 It was originally founded by our region&apos;s mixologist extraordinaire, and B-Line Ambassador, Molly Wellmann. Although she no longer owns this establishment, Molly&apos;s spirit still lingers among those along the shelves, and this Kentucky bourbon corner will always have a special place in her heart. But there’s no need to feel overwhelmed! OKBB specializes in hiring people who not only have extensive bourbon knowledge but also delight in sharing it-- if you’re interested. They are well-versed in the flavor profiles and history of the more than 100 bourbons on the shelf and can also concoct some of the most delicious bourbon cocktails not only in Northern Kentucky but anywhere. 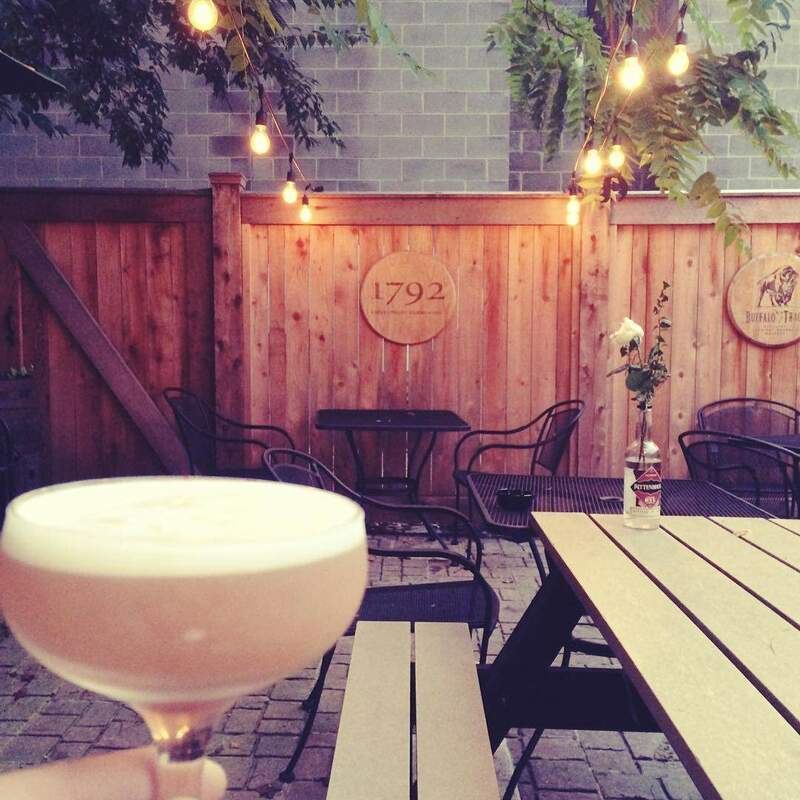 Another appealing feature of the Old Kentucky Bourbon Bar is the patio, which can feel like stumbling into a magical, local secret. 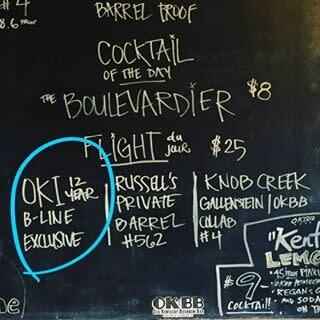 OKBB is a perfect nook to unwind, reconnect with a friend, or begin your bourbon journey on The B-Line.